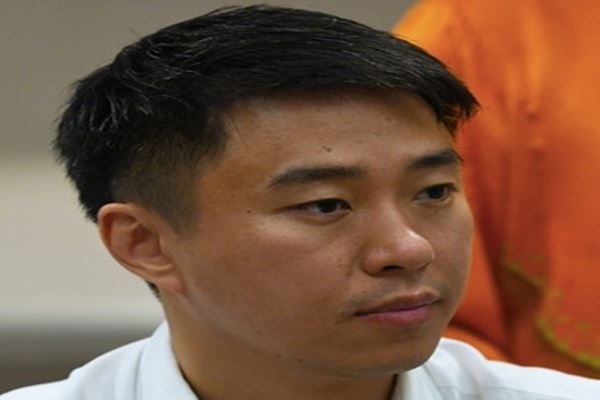 KUALA LUMPUR: JulauMember of Parliament Larry Sng Wei Shien(pic) has sent a letter to Minister of Foreign Affairs (MFA)Datuk Saifuddin Abdullah to expresshis aspiration to visit the 47 Malaysians detained in theBanteay MeancheyPrison, Cambodia. Sng said, in the letter too, he had asked the view of Saifuddinconcerning the desiresofseveral family members of the Malaysian detainees and media representatives, to join him on the trip to see for themselves the conditions of the detainees there. ‘’I have just been informed by a family member (of a detainee) who is now in Cambodia that one of the Malaysian detainees has been taken to a hospital last week for a stomach operation. ‘’Seeing communication is very limited, I am endeavouring to use my personal capacity to obtain more detailed information on the matter,’’ he said in a statement here Saturday. Sng urged Malaysians to pray for the safety of the Malaysian detainees there. “They are all our children, children of Malaysia,’’ he said. Earlier, MFAconfirmed the detention of 47 Malaysians in Poi Pet, Cambodia since Dec 11. They were suspected to be involved in online gambling activities.